Fortnite now offers guided tours of its map. Well, in a manner of speaking. 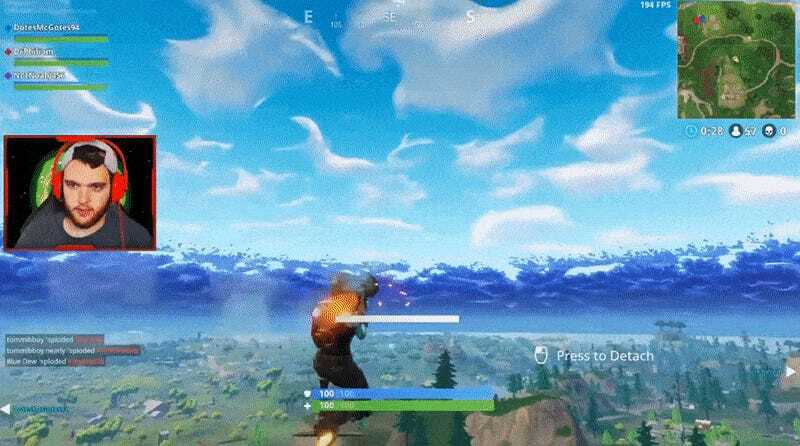 YouTuber NoahJ456 learned how to ride his own guided rockets and then, based on a tweet from another player, realized he could hopscotch between them. These things in mind, it was only a matter of time before the “because why not” impulse—which has birthed kingdoms and destroyed mountains—took the wheel. Noah decided to ride his own rockets into the sunset. And then past it. Using a procession of rockets spaced out such that he could leap from one to the next just before exploding like an idiot, he made it all the way from Junk Junction to Moisty Mire—the two most distant locations on the map. There were a couple close calls, but otherwise, it was smooth sailing.